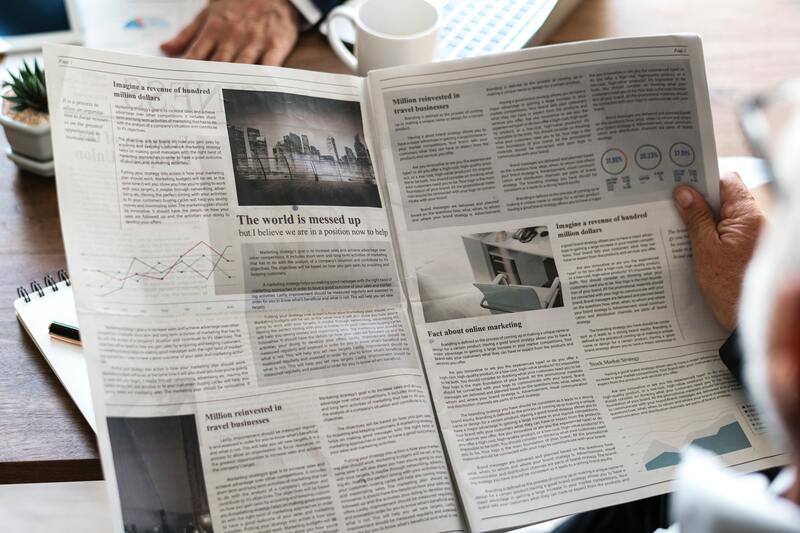 For most of the last century, news media operated on a simple premise: building a readership by providing content and then selling the attention of that audience to advertisers. In the past two decades, newspapers, magazines, radio and TV, all had to adapt to a blossoming of an array of outlets on the web, many of them simply collecting and then disseminating news. The traditional advertising-heavy funding model for media has been steadily plummeting for years, and it continues to do so. So nowadays, even those online news outlets have to start rethinking their business models. In the wake of this, other types of funding models have started emerging. Namely, a number of news organizations have started registering as nonprofits. And foundations and individual philanthropists are donating to nonprofit media more than ever. For example, The Center for Public Integrity—and its International Consortium of Investigative Journalists (which has become an independent nonprofit news organization since February 2017)—saw a 70 percent rise in individual donations over that month compared to the same period in 2015. 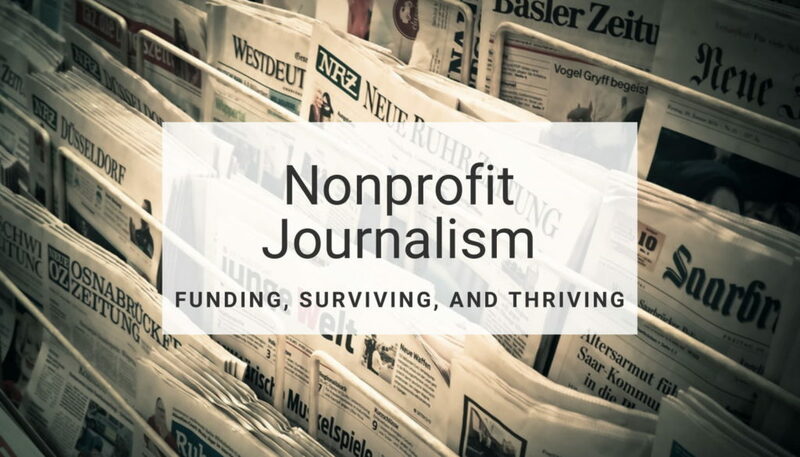 What exactly is Nonprofit Journalism? Nonprofit news organizations tend to be investigative and analysis-focused, rather than concentrated on breaking news. These days, nonprofit news covers many types of journalism, characterized by original, expert reporting and a mission to serve the society in a positive way. The nonprofit designation is primarily a legal framework and a business structure. Under the IRS section 501(c)(3)-501(c)(9), a qualifying organization must invest any surplus revenue back into the organization, rather than paying dividends to shareholders. Nonprofit news organizations focus on topics of public interest. About two-thirds cover government and the environment. Well over half cover education or social justice and inequality. Many nonprofit media organizations are decades-old. Venerable nonprofit magazines include Harper’s (f. 1850), American Prospect (f. 1990), Consumer Reports (f. 1936), and New Criterion (f. 1982). However, it was only in the 2000s – in response to the financial crisis that newspapers faced – that a number of digital news nonprofits emerged. Since then, the number of nonprofit news organizations has been increasing every year. Institute for Nonprofit News (nine years old itself) boasts 180 members. INN says there are about 200 nonprofit newsrooms in the U.S. in total. 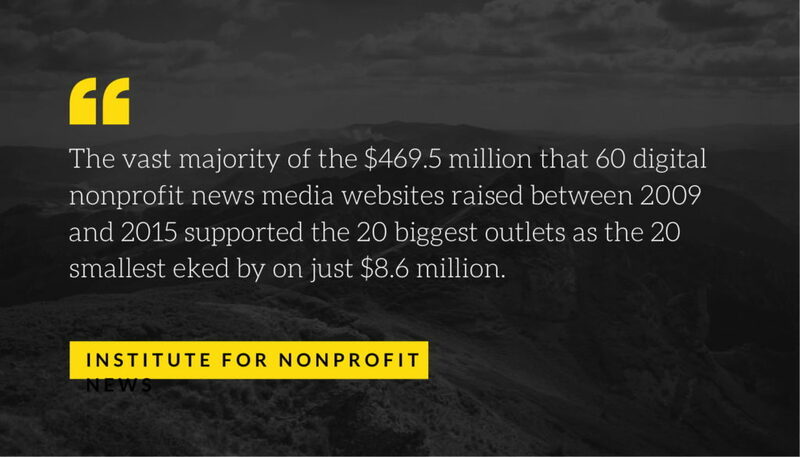 The nonprofit news sector now pulls in almost $350 million in total annual revenue. While some criticize nonprofit journalism as being ‘elitist’ or written to be understood only by those who already read the news, others praise nonprofit news organizations as benchmarks of high-quality journalism. Those who praise nonprofit news organizations believe that they satisfy a burning need for accurate information and analyses of complex issues. So, What About The Funding? Like most, if not all, nonprofits, nonprofit news organizations tend to rely on charitable giving – primarily grants and donations. However, it is important to note that foundation funding seems to benefit mostly a handful of big nonprofit news organizations. This means that nonprofit media organizations across the great majority of states lack the funding necessary to fill gaps in newspaper coverage. This is why a lot of nonprofit news organizations are working on diversifying their income. To become less dependent on foundations and big philanthropies, many nonprofit news organizations are working on developing membership programs. These mimic the subscription models of The Washington Post and the like. They also increase the number of individual donations. Efforts to diversify revenue streams, a key indicator of financial stability, are evident: More than half nonprofit news organizations have three or more revenue streams, and one-third have four or more. Even with all of those efforts in place, individual donations of all sizes are still underdeveloped revenue streams for most nonprofit news organizations. Excluding public media, revenue from membership makes up between one percent to less than a third of nonprofits’ revenue. But, the News Revenue Hub recommends setting a goal of 25 percent of total revenue from memberships and individual donations. Truthout is a nonprofit news organization dedicated to providing independent reporting and commentary on a diverse range of social justice issues. Since their founding in 2001, they have anchored their work in principles of accuracy, transparency, and independence from the influence of corporate and political forces. Truthout describes themselves as working to spark action by revealing systemic injustice and providing a platform for progressive and transformative ideas. They do this through in-depth investigative reporting and critical analysis. They publish articles by both staff reporters and freelance investigative journalists and analysts. These articles cover the most urgent issues of the day: from climate disruption to racial justice, threats to press freedom to campaigns to reform the US criminal legal system, foreign policy to the economy and beyond. Truthout pride themselves in their budget comprising of donations from readers — and not a single cent from advertising. As more and more nonprofit news organizations seek to diversify their revenue streams, and specifically to increase the number of individual donations they receive, online fundraising has become increasingly important. 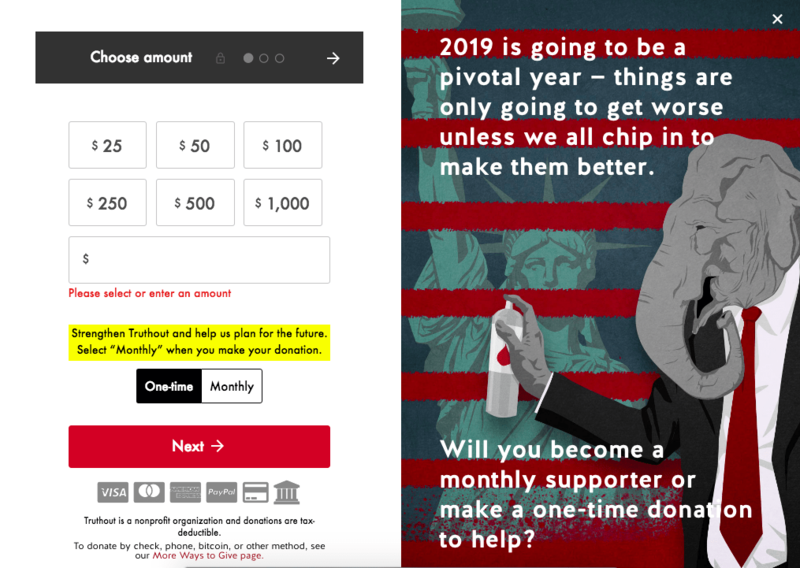 Truthout upgraded their donation process in mid-2017 in order to meet the needs of their readers. They needed a simpler solution to replace the unnecessarily long, complicated, externally-hosted donation form they had been using for years. To process and manage their online donations, they opted for Donorbox. Almost immediately, they witnessed a dramatic increase in not only one-time donations but also monthly donations. Monthly donations, in particular, are a sure way to sustainability when it comes to nonprofit funding. Their development strategy is ever-evolving. And Donorbox continues to be a key tool in their efforts to strengthen their sustainable funding streams. Truthout highlights the support from their community as vital for strengthening Truthout’s role in providing information that the public needs. This helps to create and maintain a functioning and vibrant democracy. Donorbox is a powerful fundraising software that is very simple and fast to set up. You can start fundraising for your nonprofit news organization with a fast, optimized donation payment system in 15 minutes. 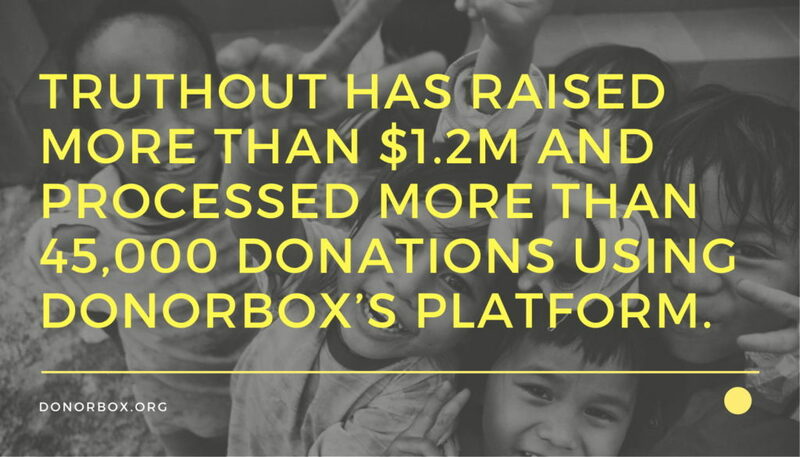 Over 16,000 organizations from 25 countries use the Donorbox fundraising software. Donorbox specifically encourages recurring donations. Organizations can seamlessly embed a custom form to their website or use a popup widget. Donorbox is free if you get less than $1k in donations in a month. There are no set up costs. If you reach $1k in a month, Donorbox charges a small platform fee of 1.5% for the month’s donations. Other donation platforms charge 2-5% or more. This makes Donorbox ideal for nonprofit news organizations. The checkout process with Donorbox is simple and effective. Donorbox also offers plug-and-play plugins for WordPress, Wix, Weebly, and Squarespace. Donorbox offers a number of other features that can help you revolutionize your fundraising. Like the rest of the nonprofit sector, nonprofit news organizations aren’t in it for the money. They don’t have shareholders to satisfy. They’re unburdened by the hyper-focus on profit. This is what allows nonprofit news organizations to maintain their editorial and creative independence. A healthy nonprofit news organization, regardless of its funding model, respects the editorial and creative independence of its grantees. It respects the editorial and creative integrity of content (covers stories on the basis of editorial merit). And, it is transparent about its funding. Nonprofit news organizations have an astonishing potential. They often use their resources efficiently and achieve remarkable results. Many of them produce high-quality work, even when they’re operating on a low budget and are understaffed. Their work is invaluable – the reporting is fact-based, community-focused, transparent and non-partisan. Nonprofit news organizations fill a crucial gap in information and knowledge sharing. While the nonprofit investigative journalism sector is still tiny in terms of the number of journalists and budgets when compared to mainstream media, it’s gaining grounds. And in a society where sensationalism and fake news are prevalent, where funding is hard to come by, where the pressure is high and there are information vacuums – nonprofit news organizations are more important than ever.